Every once in a while somebody writes a blog post that squarely and utterly nails a discussion. Amy Bushatz, the managing editor of Military.com’s family blog titled SpouseBuzz, just wrote one of those posts. She ardently and cogently eviscerates those who feel that military folks are overcompensated whiners when it comes to their pay and benefits. I could not have possibly said or written it any better! Her great piece is reposted below, and if you would like to see the original, go here. We’ve been having a rough go of it lately, haven’t we? There you are, a civilian, absolutely convinced that the average servicemember is not worth his weight in pay and benefits. And here I am, a military family member wondering how we got to this point – and why you are so misdirected about the value of the military. I think the problem may be that you are confused. You’re there, sitting on your civilian sofa in your civilian house in the town of your choice after coming home from your civilian 9-5 job. You are feeling a little annoyed by the crazy awesome salaries that servicemembers and military retirees score because, in comparison, yours aren’t that amazing. And hey! Your taxes are paying for us to have this fabulous stuff! You are incensed by the very existence of commissaries which, you gleefully note in news articles like this one, is supported by tax payers all so that military folks can have access to “15 types of ketchup” at Lejeune. You think they should close. And over here, you proclaim our benefits – the things we get in exchange for the willingness to die for America – as lavish. It isn’t so much the idea of shutting the commissaries that bothers me. While they do seem like a vital part of life overseas, stateside the argument that they are superfluous at most bases doesn’t seem that farfetched. In most cases, as the author of this peachy story notes, there really are other options. Same thing goes for fitness centers and recreation on bases around the country. Don’t get me wrong – I love that stuff and I use it all regularly. But I could live without it just fine. If it comes down to bullets or bagels, I’d go with the bullets any day. What bothers me about these and other stories and columns like them is your tone. Servicemembers, retirees and their families, the tone says, are acting like privileged brats for expecting, accepting and clinging to the benefits which encourage them to stay military or even to join in the first place. In fact, the tone says, it is a waste of tax payer money to meet military personnel needs or even give nice-to-haves in exchange for keeping them around. Servicemembers are overpaid, coddled low-skill workers who should not be given compensation for the inconveniences of military life, but who should still be expected to do their jobs anyway. 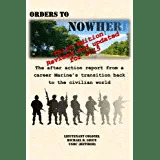 It’s a tone that says if you had to join the military to make it through life you are, logically, a substandard American worker and you do not warrant compensation in excess or even equal to the civilian market. Civilians are people who have choices and didn’t take the easy out of Uncle Sam. Military are people who are living off the tax payer. The tone is supported by the flinging of inaccurate statistics to support your claims or, worse, the promotion sof weeping generalities about who servicemembers are and what they deserve. Only one in five Americans is even in good enough physical shape to join the Army. That means that to be the “average enlisted soldier” the author talks about, a recruit already had to do something most Americans can’t – be fit. A whole other group of Americans is ineligible because they didn’t graduate high school or because they have a criminal record. He also had to be willing to join the military at all, which puts him in a group with less than one percent of Americans. After he joins that soldier then holds a more than full time job, often over 80 hours a week, for which he must continue to meet requirements such as staying fit and felony free. He very likely does an intricate task that no average American with less than two years of college could do without months of dedication and training. He probably has also spent more than nine full months multiple times away from his family working around the clock where he put his life on the line and accepted the continuing burdens of war as part of the gig. He’s likely to have held this same job for around five or six years. Why is it unreasonable that this soldier make more than 90 percent of Americans who have less than two years of college? And how is that a good group of people to compare him to at all? Army officers – or any officers, for that matter – are compensated at a higher rate based on education and responsibility, at least in theory. While a captain may make “more than $90,000” before taxes in a very high housing allowance area such as D.C., the average captain certainly does not. A little math reveals that a captain with seven years of Army experience living in San Antonio, Texas with dependents, for example, makes about $86,000 before taxes. But a breakdown of average hours worked by our case study during a year in which he does not deploy shows that he earns around $25 an hour. And no matter how you shake it out, none of these examples are “more than $90,000″ after taxes. In 2010 the average male graduate just out of college earned about $22 an hour. After graduating college and spending seven years on the job with countless additional months in training, an Army captain is making about $25 an hour for putting his life on the line, being willing to live wherever the Army sends him and leave his family for months at a time. He also has met all the qualifications of the “average enlisted soldier” that made that person valuable including, again, an interest in joining to start with. Are high personnel costs really a problem? As America rolled into sequestration and other budget cuts, DoD leaders decried the high cost of personnel. After all, they said, supporting current and former military members takes up a third of the DoD 2013 budget. And with the DoD budget as a whole taking up the biggest “single slice of the federal budget at Social Security,” something surely must be done. But what they fail to note is that personnel costs really aren’t that ridiculous when compared to the normal market. As the Military Officers Association of America (MOAA) points out, in civilian companies with big air fleets (the closest they could get to a military comparison), personnel costs hover at similar levels. For the United Parcel Service, for example, personnel costs make up 61 percent of the budget. For FedEx, it’s 43 percent. For Southwest Airlines – generally recognized as among the most cost-efficient air carriers – personnel costs comprise 31 percent of operating revenue (which includes profit, so the percentage of expenditures is higher). 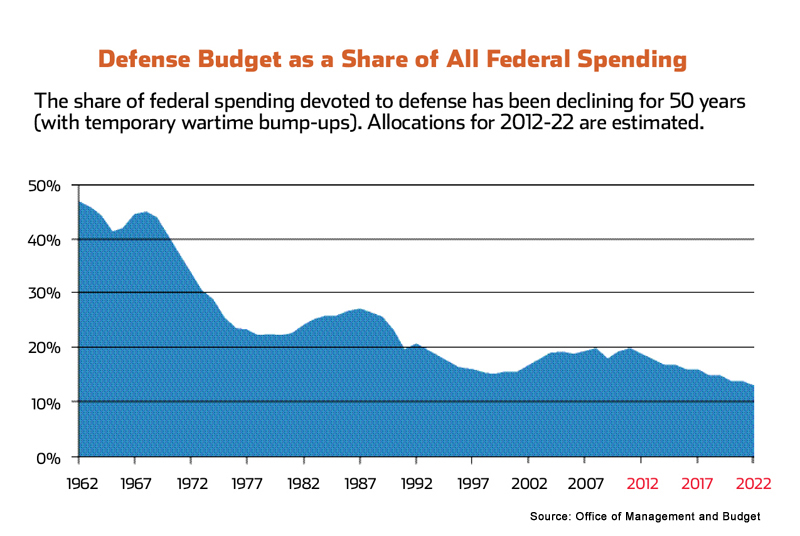 The idea that the Defense Budget is so out of control is also misleading, particularly when you look to past trends. This MOAA graph shows that it hovers below 20 percent – whereas in 1962 it was closer to 50 percent. If it’s so great, where are you? But here’s the thing that really gets me. If the pay and benefits for members of the American military are so lavish and such a steal of a deal, where are you, Benefits Hater? Because that’s the thing that’s so great about the American military. You don’t have to be special or an elitist to hang out with us. You don’t even have to be an American citizen. You just have to meet the requirements and be willing to run while wearing boots. This isn’t some exclusive club. We like all types of people. We’re cool like that. So perhaps you don’t join because you can’t meet the qualifications that us low-skill, not worthy of benefits folks met. Or maybe you just love your freedoms and hate danger. Maybe you like picking where you live. Maybe your spouse has a career she doesn’t want to destroy by moving every three years. Maybe you don’t want to risk getting blown up in the street while driving through a far away land. Those freedoms? We gave you those and make sure you keep them. Try remembering that and then see how you feel about military benefits.